More than 600,000 Canadians live with heart failure, and a further 50,000 new cases are diagnosed every year. But what if there was a way to test for heart failure before the disease has become advanced? LeNano Diagnostics is developing a groundbreaking product that could aid in the early detection of heart disease by testing a single drop of blood. 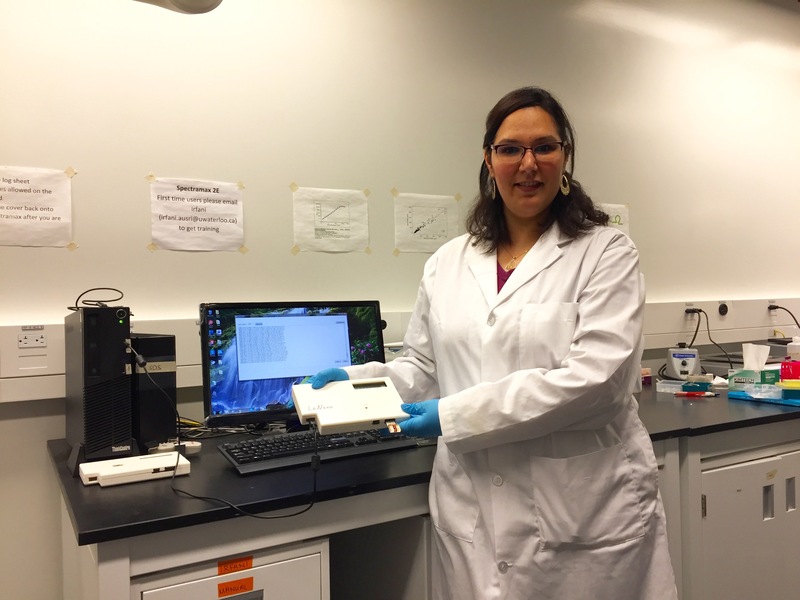 In collaboration with University of Waterloo-Mitacs researcher, Yael Zilberman-Simakov, LeNano's portable device tests blood for a specific biomarker, a type of protein, elevated by the onset of heart failure. “If a patient has a higher-than-usual concentration of the biomarker, they are at an increased risk of having heart failure,” says Yael. “Similar to how glucose levels should be monitored among diabetic patients, this type of protein needs to be checked every day.Compared to a lab test, personal test devices like LeNano's are faster, simpler, and more convenient. Because LeNano is a small start-up with just eight people on staff, Yael is working on every aspect of the kit's development during her two-year Mitacs fellowship — from improving the device's sensor and overseeing its design, to testing blood samples and analyzing the data. “I was drawn to this project because heart disease is the second highest cause of death in Canada. It's a big issue. I want my research to make a difference,” concludes Yael. LeNano Diagnostics anticipates the testing kit will be on the market in two years. Mitacs thanks the Government of Canada for its support of the Elevate research fellowship in this story. Across Canada, the Elevate program also receives support from Alberta Innovates, the Government of British Columbia, the Government of New Brunswick, the Government of Newfoundland and Labrador, the Government of Nova Scotia, the Government of Ontario, the Government of Prince Edward Island, the Government of Quebec, the Government of Saskatchewan and Research Manitoba.